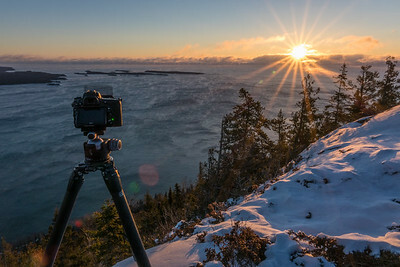 BEHIND THE SCENES 03970 December 2016 - Photographing a below-zero sunrise from the summit of Mt. 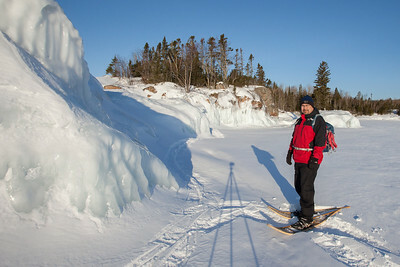 Josephine in Grand Portage, MN. 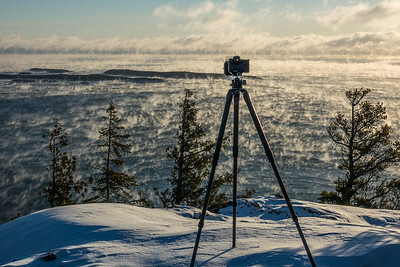 BEHIND THE SCENES 04017 December 2016 - Photographing Lake Superior Sea Smoke from the summit of Mt. 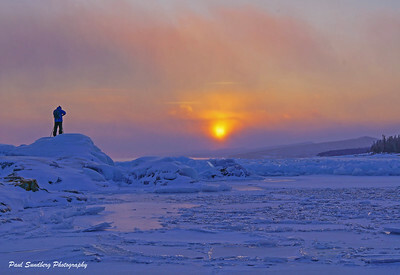 Josephine in Grand Portage, MN. 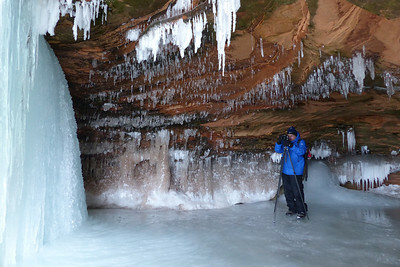 Temperature was about 5 degrees below zero with 25 mile per hour winds. 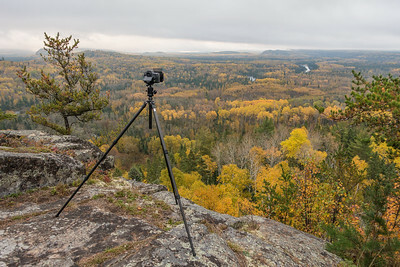 BEHIND THE SCENES 04113 A typical early morning scene while hiking out to a location to photograph sunrise. 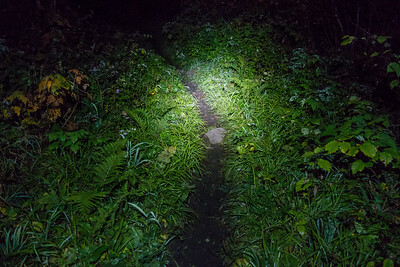 Nothing but the light from my headlamp to guide my way! BEHIND THE SCENES 9883 September 2016 - Experiencing the awesome beauty of the Bristlecone Pines in the White Mountains of California. BEHIND THE SCENES 03494 September 2016 - Jessica and I hiking near Cathedral Peak in Yosemite National Park. 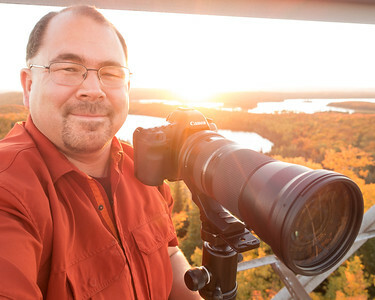 BEHIND THE SCENES 00692 On Thursday, June 2nd, 2016 I was live on the air in Grand Marais, MN with 3 friends and fellow photographers as part of WTIP's First Thursday Community Conversations program. 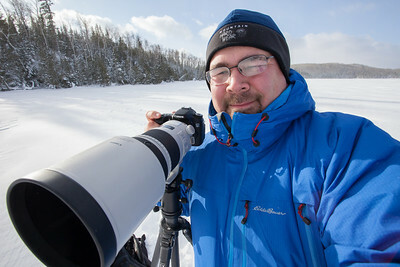 Paul Sundberg, Tom Spence, Dave Brislance and myself got together to talk about cameras and our experiences photographing wildlife. 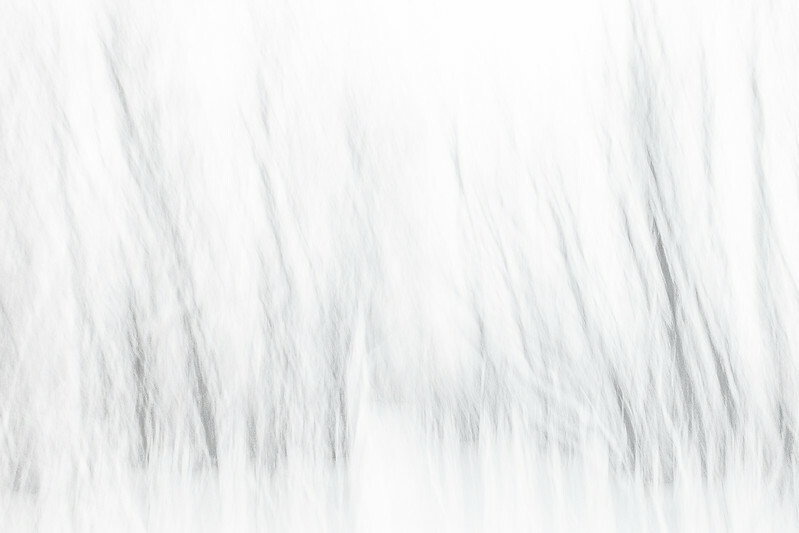 Visit the "Media" page of my website to listen to the program. 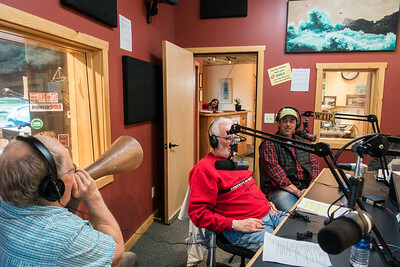 In the photo above that I took during the program, you can see Paul Sundberg demonstrating the use of his moose call (which can be heard about 41 minutes into the program). 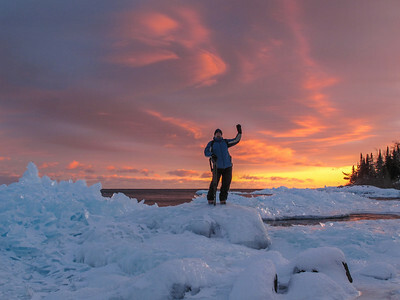 BEHIND THE SCENES 2015-02 February 18, 2015 - Photographing a beautiful sunset over Lake Superior in Grand Marais, MN. 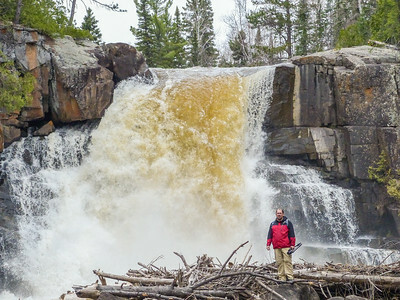 Photo by Paul Sundberg. 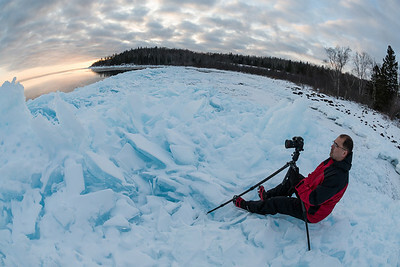 BEHIND THE SCENES 2015-01 February 18, 2015 - Photographing a beautiful sunset over Lake Superior in Grand Marais, MN. 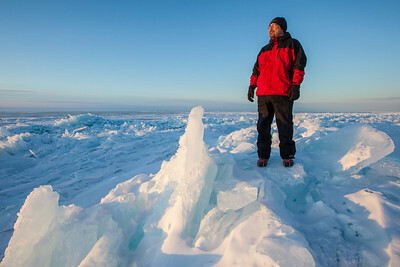 Photo by Paul Sundberg. 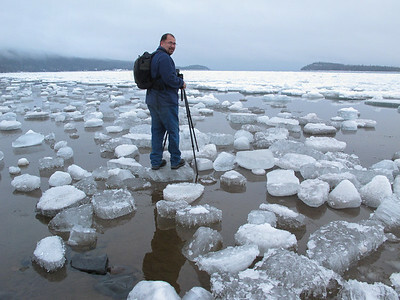 BEHIND THE SCENES 2592 Pausing for a self-portrait while photographing Lake Superior ice on March 29, 2014. 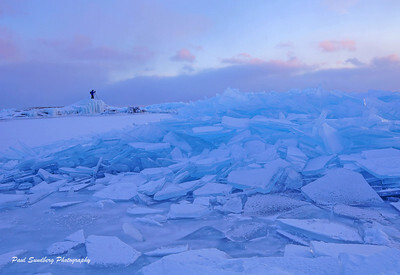 BEHIND THE SCENES 2514 Pausing for a self-portrait while photographing Lake Superior ice on March 29, 2014.